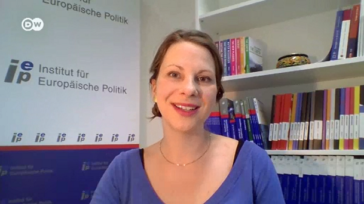 Constanze Aka, Project Manager at the Institute for European Politics (IEP), gave an interview to Deutsche Welle Ukraine. In the video clip, Constanze gives three answers to three questions about the resignation of Khatia Dekanoidze who served as Chief of the Ukrainian National Police until 16 November 2016. Watch the English-Ukrainian version of the interview here or on the website of Deutsche Welle.